We have the ability to take your ideas and craft them into functional, well designed products. Whether you are looking for a modern design, or unique interior wall space, we can accommodate your every need. Our ability to fabricate extends beyond the use of clear glass, or simple aluminum profiles. When you choose to work with Century Glass you will receive design assistance, quality instillation and in house custom fabrication for a quick and timely turn around. If you are looking for something special, we guarantee you personalized support, and exceptional quality of fabrication. Laminated Finished Interlayers- Glass is available a large variety of profiles for architectural and design uses. These can be prismatic or clear or you have the option of adding a finished interlayer. The inter-layer comes in a wide array of styles. 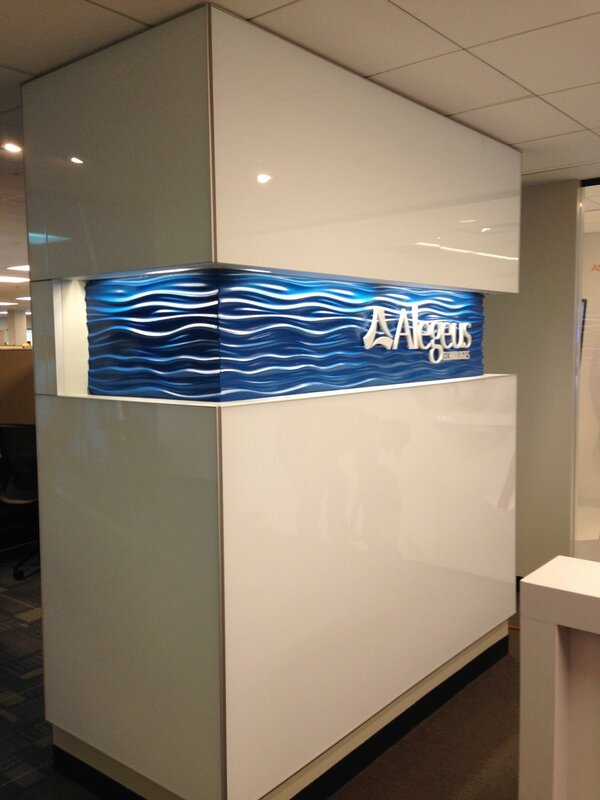 Back Painted Glass - Solid colored glass panels create ideal background for any wall. Magnetic Glass Marker Boards- We take our back-painted glass and add a magnetic back layer for office practicality. Etching - We have the ability to work closely with our manufacturers to create etch patterns or logos using any of three different methods; acid etching, sandblasting or specialty films. Each will render a slightly different surface appearance with different attributes. Digital Printing- we have the ability to work with digital printing contractors to print high resolution images onto glass for a solid or transparent finish. Available in limitless colors and dynamic imagery. Including custom artwork or logos for main offices or feature walls. Fire Rated Glass Systems - Glass for fire safety are rated from 20 to 90 minutes. We can also provide rated frame assemblies & entrances to help you meet fire code while keeping the appearance of an aluminum system. Stormglass, Ballistic, & Bullet Resistant Systems - Whether your project is high security, or vulnerable to mother nature, we can provide window assemblies and glazing that meets the challenge. Corrugated Metal - Metal wall and roof panels can be used in a wide variety of ways. 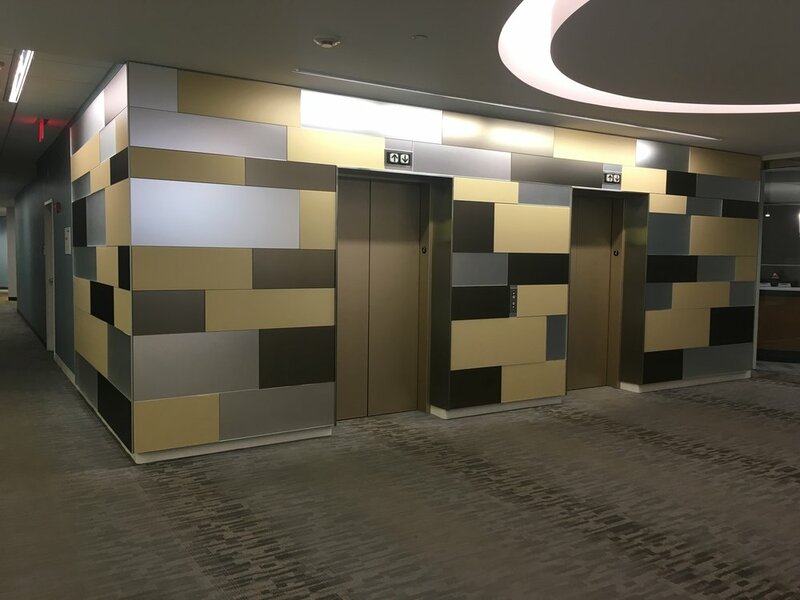 Use them to cover the outside of your building in a neutral or bold way, create a seamless equipment screan to protect your hardware from the elements, or use them in any creative way you can imagine. Prodema - These panels are natural wood with a highly resistant outer film to keep the wood protected from external sources. Prodema panels allow you to have the elegance of natural wood in and around your building, without all the upkeep! 3Form - A unique variety of designs, colors and patterns for both interior and exterior use. Highly flexible and mounted precisely to meet design needs.